I liked the Indianapolis draft. Last year I had the sense that Indianapolis was losing the battle in the trenches on both sides of the ball. 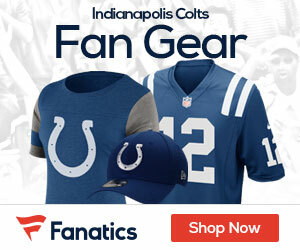 These choices will help Indianapolis stars like Manning, Freeney and Mathis shine even brighter. To me the draft is always about finding out your weaknesses and making any and all effort to support them. The Colts needed help on the line and in the run game, and their first two picks did just that. Why people are up in arms is beyond me.